Haiti Department of Transportation - Who Maintains the Traffic Lights? Does Haiti have a Department of Transportation? If there is such a thing, then why am reading in the newspapers that there is a BLACKOUT on all traffic lights in Port-au-Prince? KREYOL: Haiti - W ap sezi tande poukisa feux de signalisation yo pa mache nan Port-au-Prince... Leta gen yon kontra ak yon konpayi prive pou maintenance yo, leta pa peye konpayi, konpayi pa ranje... Chofè lanfè, demele gèt ou... Kisa ou panse de sa??? 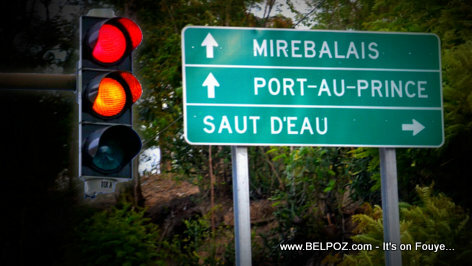 Le Nouveliste has just released an article titled: "A Port-au-Prince, black-out sur les feux de signalisation." that means, traffic lights don't work in our capital city, when you read the article you realize they haven't worked for ages. In a real country it is the Department of Transportation who maintains traffic lights and traffic sign. Question: Does Haiti have a Department of Transportation? if yes, what exactly is their job description? « Haiti Question: Si ou tap fè yon film sou politik peyi d'Haiti, kijan ou t ap rele film sa a?